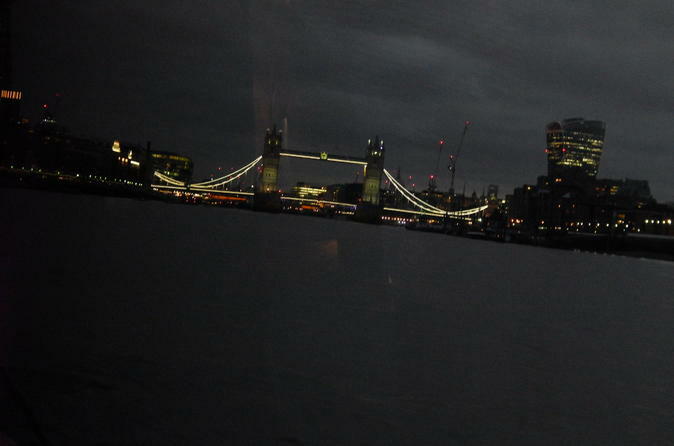 Jazz on the Thames dinner cruise was fun. The jazz music was very well done and the singer was very good. The food was not great and I was disappointed in that. It's a lot of money to have bad food. The views were great and we were glad we took this cruise. This trip was really good and very well organised. The food was much better than I expected. I was a bit disappointed that the jazz was only played on the return journey. There was a female singer on the first half of the journey and although she was good, it wasn't what we paid for. The drinks are very priced very reasonably which was a nice surprise. I am pleased we could point out the sights to our Belgian friends as there is no commentary or explanation about what we were passing. 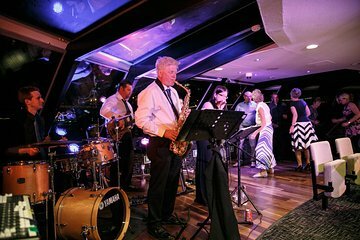 Having booked and confirmed payment and even downloading my voucher for a special 50th birthday occasion, the night we turned up for our cruise, they didn't have our name on their list, they were fully booked and had to turn us away. Can you imagine the disappointment!!! very nice evening with my kids. Nous avons passé une excellente soirée. Le personnel était au petit soin: Nous étions accueillis avec une coupe de champagne chacun. Les serveurs étaient aimables et serviables durant la croisière. Le groupe de jazz jouait formidablement bien ainsi que la chanteuse. Plus la soirée avançait, plus le paysage devenait beau. La ville était illuminée !! Le repas était succulent.